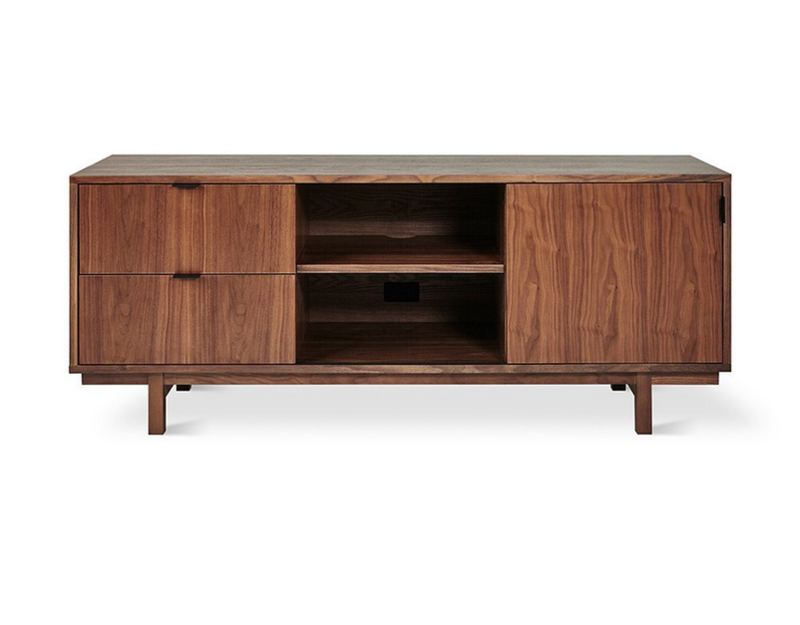 The Belmont Media Stand is an architecturally inspired storage design that features the natural beauty of walnut. Designed for Hi-Fi and media components, a back panel opening in the cabinet allows for concealed cable management. Drawers provide storage to keep your living room uncluttered, while adjustable shelves and a sliding front panel let you reveal or conceal components. 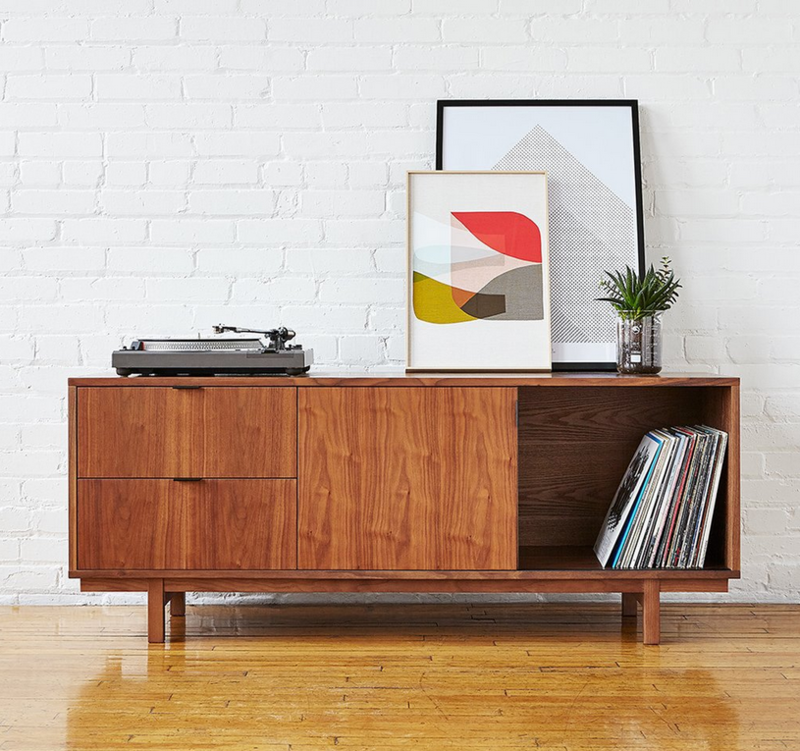 Part of the Belmont Storage Series, this media stand matches perfectly with the Belmont Credenza and End Table. - Features 2 drawers and 1 sliding door (on a black aluminum track) with black metal pulls. - Compartments have adjustable shelves for efficient storage. - Opening at the back of adjustable shelf and back panel for cable management. - Plastic bumpers on all legs to protect hardwood floors.